In October 2007, at our parish's 30th Anniversary, our beloved Archbishop +DMITRI of blessed memory was present to celebrate the paying off of the mortgage on our property on Clairmont Avenue. His blessed instructions to us at that time were simple: "Now, you build a proper Orthodox Church Building." At that time, our services were held in a former Baptist church that had been renovated for Orthodox Worship, as they had been for over 20 years. 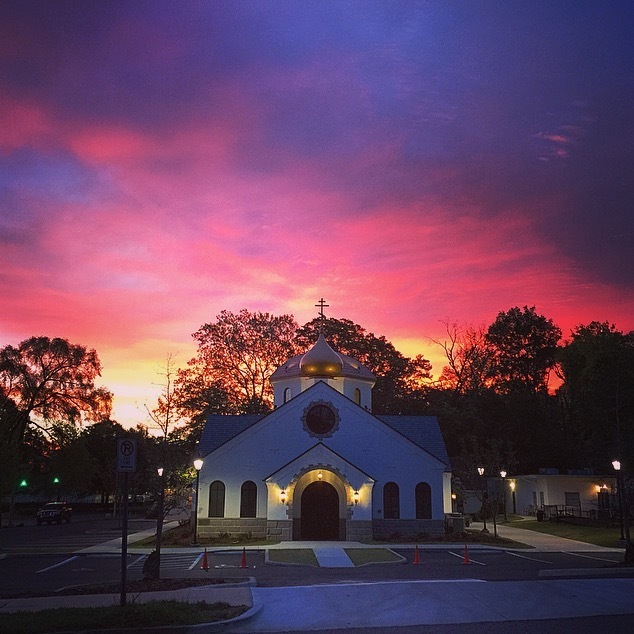 But by the Grace of God, the prayers of our beloved Archbishop, and hard work and dedication by our parishioners, we have realized ours and Vladyka's dream: a beautiful, canonical, Orthodox-style church, built on the same property. Our new church was completed in 2014, and our first services in it were held the weekend of January 31-February 1, 2015. We quickly began to fundraise and decorate the church with proper Orthodox iconography and furniture. Below, you will see the photo album of our Building Project, the video from the day we moved into the new church, and specific sections for each of the unique features of our church. Click on the pictures and links below to learn about each of the features. 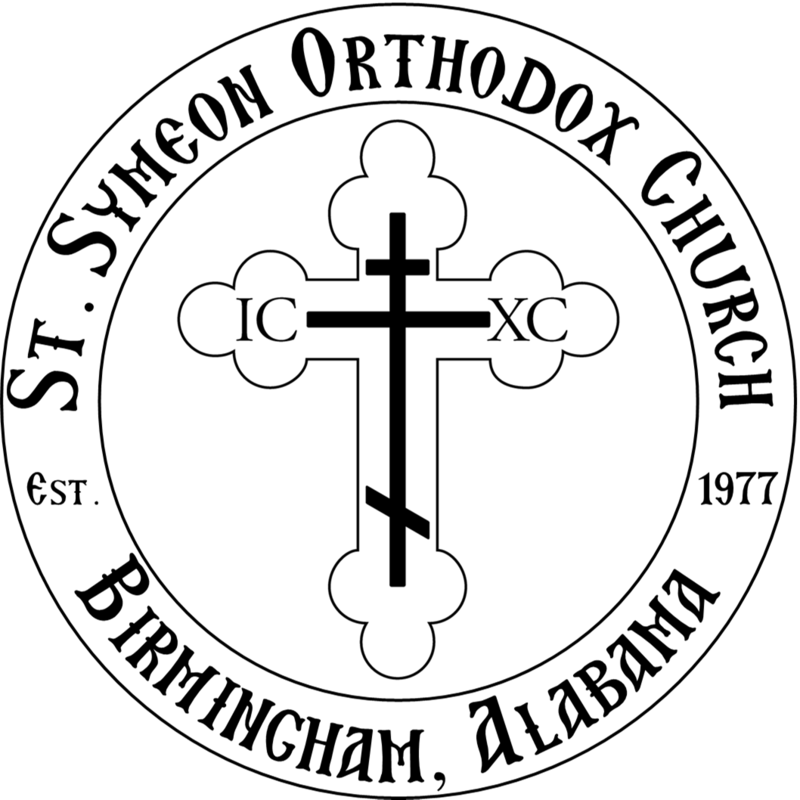 If you would like to help support the Building Project, Please donate via PayPal using the link below, or make checks payable to St. Symeon Orthodox Church, write "Building Fund" in the memo line, and send to the address below. Donations are, of course, tax deductable, and a letter for your records is available on request. May God bless you for your support! Click here to learn about our Iconostasis, hand carved from Greece. Click here to learn about our Pantocrator, hand painted by Romanian Iconographers. Click here to learn about the Angelic Hosts that adorn the top tier of the barrel of the dome. Click here to learn about the Prophets that adorn the bottom tier of the barrel of the dome.